“From this one man, and he as good as dead, came descendants as numerous as the stars in the sky and as countless as the sand on the seashore” Heb 11:12). 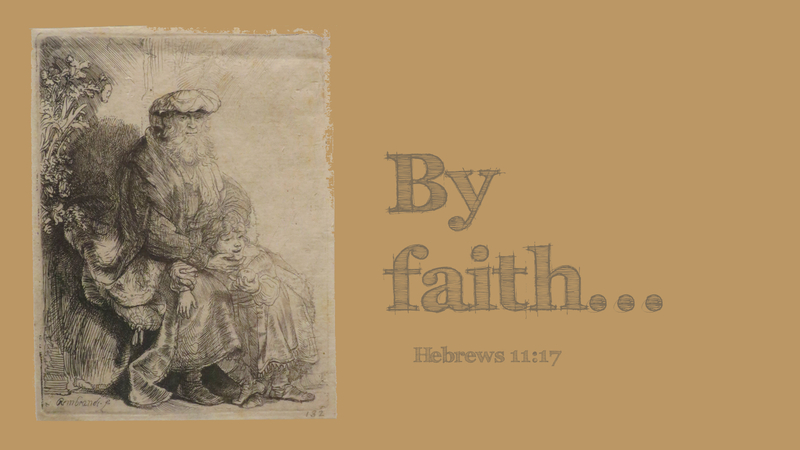 Hebrews 11 portrays the lives of Old Testament heroes who lived by faith. Indeed, this chapter is often called “The Honor Roll of Faith.” Abraham is one luminary whose life encourages us to fortify our faith in God. For instance, it was by faith that Abraham and Sarah were enabled to become parents at a late age (v. 11). God’s promise to the patriarch was that he would have countless descendants (v. 12). Abraham and Sarah were well past the normal parenting age when their son, Isaac, was conceived. Abraham, nevertheless, kept faith in God and His promise, and eventually that promise was realized. Not one of the people mentioned in verses 8–16 had seen the ultimate fulfillment of God’s promise (v. 13). They saw themselves as earthly pilgrims whose citizenship was in God’s hands. Here we recognize that the will of God is not some mysterious destiny that must somehow be pried from the hidden counsels of heaven. Instead, its broad outlines are plainly revealed in Scripture. Prayer: O Lord, renew our faith this day to trust without reservation the promises you have given us in your Word. Amen.